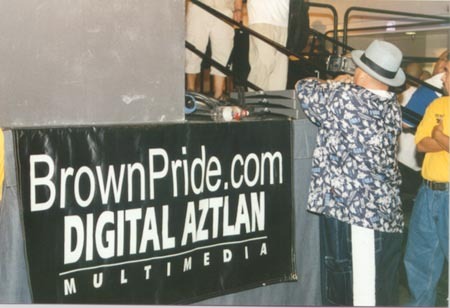 Last year we were able to attend both the Tucson and the Phoenix Lowrider Shows. We ran into old friends and made new ones along the way. We were glad to see the Arizona people were keeping the Lowrider scene alive. We witnessed first hand, the great response groups like Mafiosos, Low Profile Records, Conejo, Wicked Minds, Brown Town Looters, and many other Latino artists received from the Arizona crowd. Thanks to Johny Lozoya and Andy Herrera for making us feel at home.